PlayStation Now is set to change the way we game when it releases in North America later this year. As long as your Internet connection is up to the task, you’ll be able to stream PS3 titles to your PS4 and PS Vita. In an interview with Polygon, Sony recommends a minimum 5 Mb/second connection to use the service. 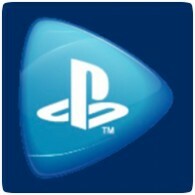 PlayStation Now was playable at CES 2014, with the media able to go hands-on with titles including The Last of Us, God of War: Ascension and Beyond: Two Souls. The service has so far received great feedback, but the hands-on experience was done in a very controlled environment, and not representative of how it will work in the real world. Someday, original PlayStation, PS2 and even PS4 titles will be playable using PlayStation Now. Imagine a day when you’re able to play a newly released game without having to buy the physical version from a brick-and-mortar store or download gigabytes worth of data for the digital version of the game. Although it may be a long way off, this is the possibility PlayStation Now presents. If this service is going to cost to buy each game then personally I would prefer on the console emulation for my PS, PS2 and PS3 discs. Or even remote streaming to the PS4 from a PS3 console. But it’s definitely a good step.